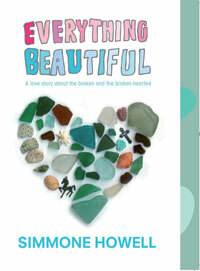 ITEM: Signed audio books of Notes From The Teenage Underground and Everything Beautiful by Simmone Howell. DETAILS: Everything Beautiful… Riley Rose doesn’t want to be at Spirit Ranch Holiday Camp. She wants to be partying with her best friend, Chloe. She wants to get away from the jumpsuit-wearing counsellors, the feel-good mantras, the do-gooder campers and the monotonous schedule of team-building exercises. But is everything as it appears at Spirit Ranch? What secrets are waiting in the abandoned Fraser house? And why doesn’t anyone want to talk about the accident that landed the mysterious Dylan in a wheelchair last year? Notes From The Teenage Underground… Taking their anti-social edge one step further, seventeen-year-old Gem and her friends Mira and Lo have decided to go Underground. Their activities will be “extreme”, “anti-establishment”, “avant-garde” and “debauched”. CV: Simmone Howell is an award-winning short story-writer, and screenwriter. Her short film Pity24 won an AWGIE award and has screened at film festivals such as the London Australian Film Festival and Los Angeles Shorts Fest. 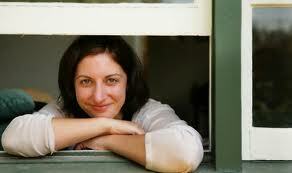 Her first novel, Notes from the Teenage Underground, won the Victorian Premier’s Literary Award for Young Adult Fiction in 2007 and the inaugural Golden Inky, and has been published around the world.